Not just a face, but a SECRET HIDDEN face, viewable only by those with the necessary training and admin privileges to be allowed to service the user-serviceable parts within the Samsung CLX-8540ND printer. 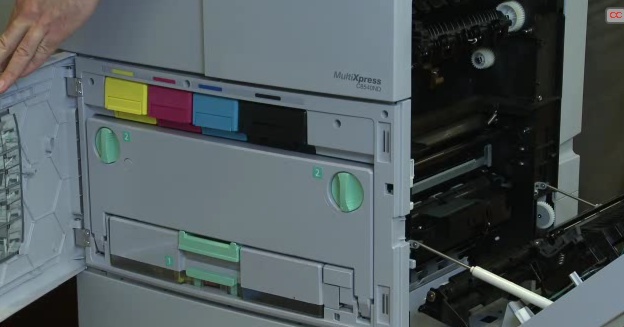 There is a mesmerising video of the toner replacement process here. It loops. It’s worth leaving on a loop.